Let’s face it; it’s tough to get excited about the need to clean your carpets. At Towers Restoration and Cleaning we understand how you feel. So we try our best to make this process as seamless for you as we can. It’s our desire to get in and do the job efficiently with as minimal “downtime” to you and your lifestyle as possible. No. As with any industry, carpet cleaners run the gamut from Bubba working out of the back of his car, to the low-price, high-volume franchises. There are five important values which distinguish a real carpet care professional from run-of-the-mill carpet cleaners: Reputation, Experience, Education, Systems, and Guarantee. 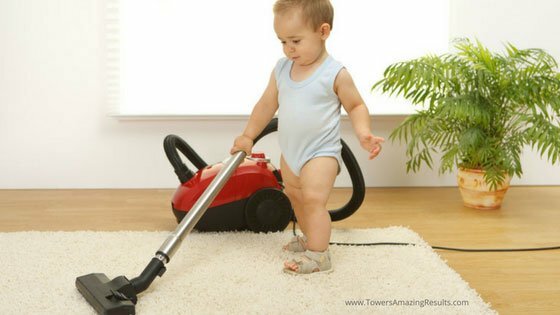 In addition to these values Towers Restoration and Cleaning has a cleaning process for maximum soil and spot removal, without overwetting your carpet or leaving a sticky residue behind returning your carpet, as close as possible, to factory condition. Towers Restoration and Cleaning has a Reputation that is second to none. The area’s most seasoned Carpet Retailers, Interior Designers, and Realtors refer our services exclusively. Towers Restoration and Cleaning is Experienced in cleaning all carpet and fabric types, as well as every soiling condition known to our industry. Towers Restoration and Cleaning takes Education seriously and is certified by the IICRC which is the world’s most recognized body of certification for carpet and upholstery cleaners. We hold multiple IICRC Cleaning certifications. Towers Restoration and Cleaning’s cleaning Systems are the most advanced on the market, getting maximum soil removal and maximum spot removal without leaving a sticky residue or over-wetting your carpet. Towers Restoration and Cleaning offers a 100% money-back Guarantee. If you are not completely satisfied, we will return at no charge to address the problem area. If you are still unsatisfied, we will honor our money back guarantee. Through these five values and Towers Restoration and Cleaning’s process, we are able to provide you with the most outstanding service experience ever. What is it about Towers Restoration and Cleaning that makes the company so unique? Let’s just try and pretend for a moment that the finest equipment, safest products and certified technicians in DFW Metroplex don’t even matter. When was the last time a tradesman of any kind was at your home? Did they treat it with care and concern? Or did they leave you with a bigger mess to clean up when it was all said and done? How about hidden surprises in their final bill? What about being on time? How comfortable where you with their technicians being inside your home? These are all feelings that every single person at Towers Restoration and Cleaning understands intimately. We want you to know that we share your concerns about your family and home with you. We promise to treat you, your home, your family and pets with the utmost of courtesy and care. Our technicians are clearly uniformed and carry identifying credentials. We understand that getting ready to have your carpeting and furniture cleaned is a big job, especially for you. And we promise to call in the event we will be more than 15 minutes past your appointed time—all because we respect you, your valuable time, and your home. The bottom line—what makes Towers Restoration and Cleaning so unique—is the quality of the whole experience, from the moment we meet until we say “good bye and thank you.” We care just as much about your experience as you do. We want so much more than simply happy clients; we want cheerleaders. Experience the quality of Towers Restoration and Cleaning services, and you’ll see for yourself why the difference between us and all our competitors is obvious.